Size: approx. 20-25 mm. Photo: 04/25/12, 10 pm. 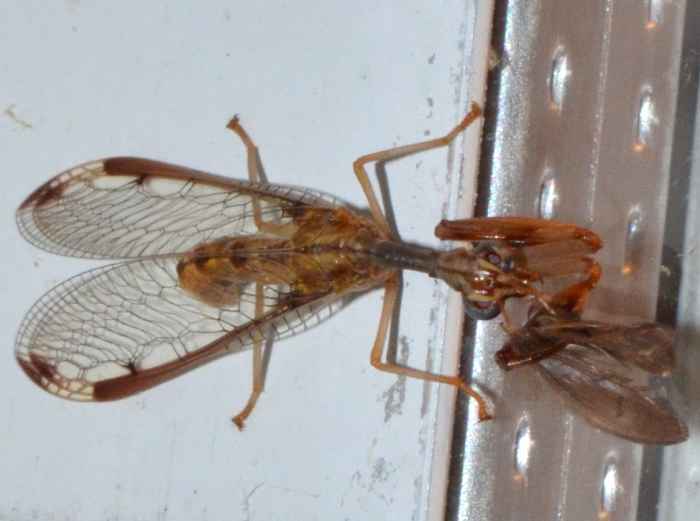 A pretty bizarre insect. 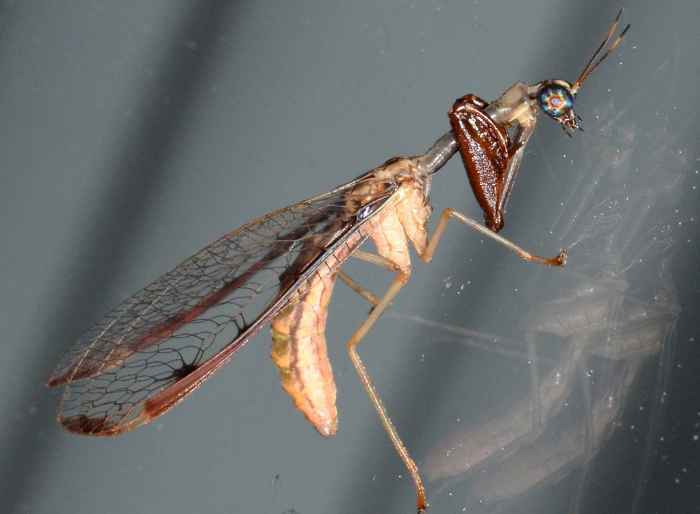 This is a Mantisfly (Dicromantispa interrupta). The species has a characteristic, interrupted dark patch on the border of its forewings. 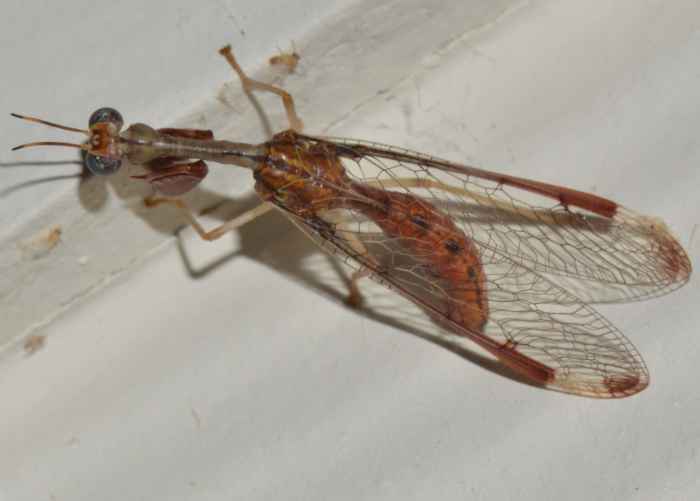 Mantisflies resemble lacewings, have raptorial forelegs, and a neck-like elongated prothorax. Their head is triangular with large eyes. The small photos were taken in September of 2011.